The following article is adapted from a special report on “Popular Culture and the Stock Market” published by Robert Prechter, founder and CEO of the technical analysis and research firm Elliott Wave International. Although originally published in 1985, “Popular Culture and the Stock Market” is so timeless and relevant that USA Today covered its insights in a recent Nov. 2009 article. For the rest of this revealing 50-page report, download it for free here. Trends in music, movies, fashion, literature, television, popular philosophy, sports, dance, mores, sexual identity, family life, campus activities, politics and poetry all reflect the prevailing mood, sometimes in subtle ways. Noticeable changes in slower-moving mediums such as the movie industry more readily reveal changes in larger degrees of trend, such as the Cycle. More sensitive mediums such as television change quickly enough to reflect changes in the Primary trends of popular mood. Intermediate and Minor trends are likely paralleled by current song hits, which can rush up and down the sales charts as people change moods. Of course, all of these media of expression are influenced by mood changes of all degrees. The net impression communicated is a result of the mix and dominance of the forces in all these areas at any given moment. It has long been observed, casually, that the trends of hemlines and stock prices appear to be in lock step. Skirt heights rose to mini-skirt brevity in the 1920’s and in the 1960’s, peaking with stock prices both times. Floor length fashions appeared in the 1930’s and 1970’s (the Maxi), bottoming with stock prices. It is not unreasonable to hypothesize that a rise in both hemlines and stock prices reflects a general increase in friskiness and daring among the population, and a decline in both, a decrease. Because skirt lengths have limits (the floor and the upper thigh, respectively), the reaching of a limit would imply that a maximum of positive or negative mood had been achieved. Five classic horror films were all produced in less than three short years. ‘Frankenstein’ and ‘Dracula’ premiered in 1931, in the middle of the great bear market. ‘Dr. Jekyll and Mr. Hyde’ played in 1932, the bear market bottom year, and the only year that a horror film actor was ever granted an Oscar. ‘The Mummy’ and ‘King Kong’ hit the screen in 1933, on the double bottom. Ironically, Hollywood tried to introduce a new monster in 1935 during a bull market, but ‘Werewolf of London’ was a flop. When filmmakers tried again in 1941, in the depths of a bear market, ‘The Wolf Man’ was a smash hit. These are the classic horror films of all time, along with the new breed in the 1970’s, and they all sold big. The milder horror styles of bull market years and the extent of their popularity stand in stark contrast. Musicals, adventures, and comedies weave into the pattern as well. Pop music has been virtually in lock-step with the Dow Jones Industrial Average as well. The remainder of this report will focus on details of this phenomenon in order to clarify the extent to which the relationship (and, by extension, the others discussed above) exists. As a 78-rpm record collector put it in a recent Wall Street Journal article, music reflects ‘every fiber of life’ in the U.S. The timing of the careers of dominant youth-oriented (since the young are quickest to adopt new fashions) pop musicians has been perfectly in line with the peaks and troughs in the stock market. At turns in prices (and therefore, mood), the dominant popular singers and groups have faded quickly into obscurity, to be replaced by styles which reflected the newly emerging mood. The 1920’s bull market gave us hyper-fast dance music and jazz. The 1930’s bear years brought folk-music laments (‘Buddy, Can You Spare a Dime?’), and mellow ballroom dance music. The 1932-1937 bull market brought lively ‘swing’ music. 1937 ushered in the Andrews Sisters, who enjoyed their greatest success during the corrective years of 1937-1942 (‘girl groups’ are a corrective wave phenomenon; more on that later). The 1940’s featured uptempo big band music which dominated until the market peaked in 1945-46. The ensuing late-1940’s stock market correction featured mellow love-ballad crooners, both male and female, whose style reflected the dampened public mood. Learn what’s really behind trends in the stock market, music, fashion, movies and more… Read Robert Prechter’s Full 50-page Report, “Popular Culture and the Stock Market,” FREE. Please understand that this article is about more than safeguarding your money; it’s about saving you headache and heartache. It’s about giving you peace of mind. Have you given much thought about the money in your banking accounts lately? Do you know if it’s safe? Have you thought about what might happen if your bank fails? Did you know you could be left in the lurch for days, weeks, even months before you get your money back from the FDIC? What happens if the FDIC can’t cover your funds? How do you find a safe bank to protect your deposits right now? I hope you’ve given these questions some serious thought. But as I read on, I figured out that the report was not only about making my money safe; it was about giving me peace of mind. Sept. 24 (Bloomberg) — In May, the FDIC said it was projecting $70 billion of losses during the next five years due to bank failures. The agency said it expects most of those collapses to occur in 2009 and 2010. The FDIC’s problem is that it didn’t collect enough revenue over the years to cover today’s losses. The blame lies partly with Congress. Until the law was changed in 2006, the FDIC was barred from charging premiums to banks that it classified as well-capitalized and well-managed. Consequently, the vast majority of banks weren’t paying anything for deposit insurance. Of course, we now know it means nothing when the FDIC or any other regulator labels a bank “well-capitalized.” Most banks that failed during this crisis were considered well-capitalized just before their failure. By the end of 2009, more than 130 banks will have failed. Most depositors will have little clue their bank was even at risk. Worse yet, the string-pullers in Washington are doing everything in their power to hide information about the safety of your bank from you. So far, the FDIC has had enough money to cover insured depositors. But that money is quickly running out. WASHINGTON (AP) — U.S. banks will prepay about $45 billion in premiums to replenish a federal deposit insurance fund now in the red, under a plan adopted Thursday by federal regulators. The Federal Deposit Insurance Corp. board voted to mandate the early payments of premiums for 2010 through 2012. Amid the struggling economy and rising loan defaults, 120 banks have failed so far this year, costing the insurance fund more than $28 billion. Worse yet, three more banks failed the very next day, Friday, Nov. 13. This is a very real problem and a direct threat to your money. It’s more important now than ever to personally ensure the safety of your bank. The free 10-page “Safe Banks” report can help. It includes the very latest bank safety ratings from the third quarter of 2009 to help you prepare for what’s still to come this year and next. Please protect your money. Download the free 10-page “Safe Banks” report now. Learn more about the “Safe Banks” report, and download it for free here. If Stocks Tank, Shouldn’t Gold Soar? Large banks and more recently pension funds have suddenly become infatuated with gold. They chant the mantras that gold bugs have known for years: gold is a store of value; owning gold is financial insurance; an ounce of gold will always buy a good suit. The idea is that if the economy continues to weaken and share prices decline, a strategic allocation of the precious metal will hedge and offset some of the losses in the financial sector. On the surface it seems to make sense and it’s hard to argue with the logic. Even so, logic can sometimes get twisted, whereas facts cannot. The evidence is found in the chart we describe as “All the Same Market.” Gold, stocks, currencies (versus the dollar), oil, grains, meats, softs, all decline in a deflationary environment. As liquidity dries up and credit contracts, people, businesses, and institutions sell everything to get dollars. Cash is once again king. This is bearish for gold. Looked at another way: as the dollar advances from its lows, things denominated in dollars lose value against the dollar. As long as the dollar remains the global senior currency, assets will depreciate: not just stocks and commodities but residential and commercial property, works of art, collectible cars, pretty much everything. Of course, this outlook presumes a deflationary environment and that’s been our view for quite some time. But that’s another conversation. The topic here is stocks down/gold up – or not. Don’t fall into the trap of group-think. If investing was that easy we’d all have (insert your own private fantasy). Black Monday: Ancient History Or Imminent Future? The following article includes analysis from Robert Prechter’s Elliott Wave Theorist. For more insights from Robert Prechter, download the 75-page eBook Independent Investor eBook. It’s a compilation of some of the New York Times bestselling author’s writings that challenge conventional financial market assumptions. Visit Elliott Wave International to download the eBook, free. Once upon a time, the term “Black Monday” was to Wall Street what the name “Lord Voldemort” was to Hogwarts. It turned the air freezing cold and sent traders flinching around every corner in fear of a repeat of the October 19, 1987 or October 28, 1929 meltdown. “Black Monday: Stocks Sink As Gloom Seizes Wall Street. Prolonged Economic Turmoil” is seen. That was then. Today, the usual dread surrounding the back-to-back string of “Black Mondays” is nowhere to be found. In its place, media reports abound of a new, global bull market “shrugging off,” “ignoring,” and “making a distant memory” of the event. For one, “gloom” hasn’t “seized” the U.S. stock market in quite a while; from its March 2009 low, the Dow has risen more than 50% to above the psychologically important 10,000 level. For another, the mainstream experts insist that today’s financial animal is unrecognizable to that of 1987, and especially 1929. In their eyes, it’s a completely different — i.e. safer, smarter, and sounder system. See, while the usual experts want to put as much mental distance between today’s market and those that facilitated the 1987 recession and 1929-1932 Great Depression — the physical similarities are impossible to ignore; more so, in fact, to the latter scenario. Here, the October 2009 Elliott Wave Financial Forecast presents the following news clip from the October 25, 1929 New York Daily Investment News. They’re interchangeable — Eighty years later. Along with a similar extreme in bullish sentiment, the performance of stocks between now and the 1929 situation is cut from the same cloth. After an initial plunge from August 1929 through late October 1929, the US stock market enjoyed a powerful rally well into the following year. NOW: After a steep freefall from its October 2007 peak, the US stock market is once again enjoying the fruits of a powerful rally back to new highs for the year. As Bob Prechter points out — in 1930, stocks rallied to the level of the preceding year’s gap. Bob then reveals that the same level has been reached now. For more information, download Robert Prechter’s free Independent Investor eBook. The 75-page resource teaches investors to think independently by challenging conventional financial market assumptions. Gold: What’s REALLY Behind the Record Rise, Bull or Bubble? Here’s the difference: A genuine bull market is driven by a self-sustaining internal dynamic that’s reflected by a host of technical indicators. A Bubble, on the other hand, is the result of untenable psychology that could shift at any moment and bring prices plummeting down. It goes without saying into which category the mainstream experts put Gold: namely, a new bull market that has years, if not decades more to soar. 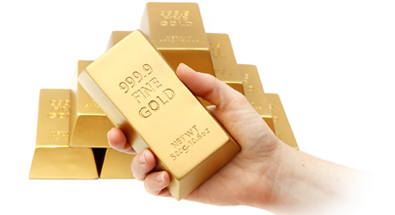 “Gold Will Hit $2,000 an ounce,” reads an October 8 Market Watch. And — “Gold Has More Upside… The metal’s bull run is just getting started,” adds a same day Barron’s. I found hundreds of news items which agree about the long-term potential for gold’s uptrend. But not a single one could tell me why the rally would continue, other than because the experts say so. A falling stock market, which raises the “safe haven” appeal of precious metals. Supply: Demand for gold from jewelry makers – which comprises 60%-70% of the market – has plummeted to its lowest level in 20 years. “Safe haven” appeal: From its March 2009 bottom, the U.S. stock market has soared 50% right alongside rallying gold prices. Inflation: As the October 2009 Elliott Wave Financial Forecast (EWFF) notes: An increase in money supply is only inflationary if it is used to RAISE the total amount of credit. This is NOT happening, as both bank credit and consumer credit levels are contracting for the first time since World War II. A gold rally in other currencies: Again, the October 2009 EWFF presents the following close-up of Spot Gold prices VERSUS Gold denominated in foreign currencies such as the Canadian dollar, the Australian dollar, the euro, franc, pound, and yen since 2007. The major non-confirmation between these two markets is clear, as is the overlying message: IF demand for gold truly outweighed supply, then its value as measured in other currencies would increase. The rise in gold is primarily the result of speculation and a falling U.S. dollar. These are exactly the “untenable” forces that contribute to a Bubble, not a genuine Bull market. The difference is only a matter of time. When I began my career as an analyst, I was lucky enough to have some time with a few old pros. One in particular that I will always remember told me that a kid with a ruler could make a million dollars in the markets. He was talking about trendlines. I was sold. I spent nearly three years drawing trendlines and all sorts of geometric shapes on price charts. And you know, that grizzled old trader was only half right. Trendlines are one the most simple and dynamic tools an analyst can employ… but I have yet to make my million dollars, so he was wrong — or at least early — on that point. Despite being extremely useful, trendlines are often overlooked. I guess it’s just human nature to discard the simple in favor of the complicated. In the chart above, I have drawn a trendline using two lows that occurred in early August and September of 2003. As you can see, each time prices approached this line, they reversed course and advanced. Sometimes, soybeans only fell to near this line before turning up. Other times, prices broke through momentarily before resuming the larger uptrend. What still amazes me is that two seemingly insignificant lows in 2002 pointed the direction of soybeans — and identified several potential buying opportunities — for the next six months! Get more lessons like the one above in the free 50-page Ultimate Technical Analysis Handbook. Learn more and download your free copy here. 1. Have a method to trade. 2. Have the discipline to follow your method. 3. Get real trading experience, instead of only trading on paper. 4. Have the mental fortitude to accept the fact that losses are part of the game. 5. Have the mental fortitude to accept huge gains. Bonus tip: Find a mentor. That trader who won the championship in a record-breaking fashion is Robert Prechter, the founder and president of Elliott Wave International. Once you think you’ve mastered his 5 tips for how to trade successfully, then the best thing to do is to find a mentor. In this excerpt from the book, Prechter’s Perspective, Bob Prechter discusses how sitting at the elbow of a professional trader can make all the difference in learning the trade of trading. Question: Has any specific trading experience decreased your trading success? Bob Prechter: Yes. My first trade in 1973 was wildly successful, and I was hardly wrong in my first six years at it. Then I had a big trading loss in 1979, and that taught me more than the wins. The best way to develop an optimal state of mind for trading is to fail a few times first and understand why it happened. 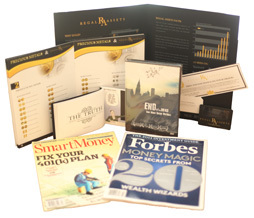 When you start, you’re better off speculating with small amounts of real money. Using larger amounts of money will bankrupt you early, which, while an excellent lesson, is rather painful. If you want to be a trader, it is good to start young. Then when you lose your first two bundles, you can gain some wisdom and rebound. Q.: It sounds painful. Is there any way at least to reduce the hard knocks? Bob Prechter: There is one shortcut to obtaining experience, and that is to find a mentor. Q.: Did you have a mentor? Bob Prechter: In 1979, I sat with a professional trader for about a year. The most important thing he taught me was to keep trades small relative to your capital. It reduces the emotional factor. Q.: How would one select a mentor? Bob Prechter: The best way to select one is to find a person who is doing exactly what you would like to do for a living, then get to know him well enough to ask if he will tutor you or at least let you watch while he works. Locate someone who has proved himself over the years to be a successful trader or investor, and go visit him. Listen to him. Sit down with him, if possible, for six months. Watch what he does. More important, watch what he doesn’t do. Finding a guy who knows what he is doing is the best lesson you could ever have. You will undoubtedly find that he is very friendly as well, since his runaway ego of yesteryear, which undoubtedly got him involved in the markets in the first place, has long since been humbled, matured by the experience of trading. He will usually welcome the opportunity to tell you what he knows. Elliott Wave International has released part one of their hugely popular How to Spot Trading Opportunities eBook for free. The eBook sells as a two-part set for $129. You can now download part 1 for free. For this reason, EWI’s team of analysts have been able to stay one step ahead of the biggest turning points in the Dow Jones Industrial Average, from the very start of the index’s historic 2007 reversal. Finally, the April 2009 Elliott Wave Financial Forecast calculated a specific target range for the Dow’s rally: the 9,000-10,000 level. So, now that the upside objective is met, where are prices set to go next? For more analysis from Robert Prechter, download a free 10-page July issue of Prechter’s Elliott Wave Theorist. It’s a blessing and a curse. IRAs, 401(k)s, thrift plans — some of the best ways to save money for retirement (the blessing) can tie your hands when you invest that money (the curse). Most savers didn’t recognize the cursed side as the markets generally trended up over the years, increasing their nest eggs’ earnings. But after a year like 2008, savers everywhere absorbed the shock that they couldn’t protect their retirement savings from a bear market. Now, the real moment of truth arrives: EWI forecasts that the market will again turn bearish. How can you protect what you’ve got when your plan doesn’t have any options for short-side investing? Bob Prechter addresses that question in his most recent Theorist. We receive many emails from subscribers asking specific questions about investing [such as,] “Is it O.K. to invest in such-and-such short fund if that is my only short-side option?” Again, given the market-tracking mechanics of such funds, the only answer we can give in good conscience is “no.” … But every question prompts others. Why is this our friend’s “only option”? The funds mentioned are the only ones in which a “long” is really a short, so we would guess that our friend has some sort of government-regulated retirement plan that allows only “long-side” purchases. Others with retirement plans similarly complain that their plans do not include the option of owning Treasury-only paper and ask if such-and-such other money fund is safe enough to buy. In our view, most money funds assuredly do not offer the level of safety that we advocate. Moreover, such plans are often administered by brokers, and brokers will be in chaos during wave 3 down. These questions reveal just some of the problems an investor encounters when playing the government’s games. Conquer the Crash (see Ch. 23) recommended taking every opportunity to cash out of IRAs, Keoughs, company-provided plans, etc., all of which are government regulated, thereby freeing up your money so that you would have full say over its use. By signing up for one of the government’s “deals,” a potential short seller now has no good choices and is therefore effectively barred from selling short. A prudent investor who wants to own the safest debt may likewise be barred from buying T-bills if he participates in a government-regulated, company retirement plan. Should he buy the only money fund available and cross his fingers? Government rules often force people into bad decisions. In this case, the “good deal” the government engineered for your retirement is a trap that prohibits you—at the most important time in modern history—from buying the safest debt instruments and from making money in a bear market…. Irony attends both financial markets and government plans. Put them together—as we have witnessed throughout the financial crisis so far—and you get Kafka. Editor’s Note: The article discusses Robert Prechter’s view of investment vehicles and government-regulated plans. For more analysis from Robert Prechter, download a free 10-page July issue of Prechter’s Elliott Wave Theorist. Efficient Market Hypothesis: True “Villain” of the Financial Crisis? When a maverick idea becomes vindicated, there’s a good story to tell. It usually involves a person (or small group of people) who courageously challenge the orthodoxy of the day — and, over time, the unorthodox yet better idea prevails. In case your Latin is rusty, Quod erat demonstrandum means “which was to be demonstrated.” Its abbreviation (QED) appears at the conclusion of a mathematical proof. In this case, the massive financial bubbles of recent years are the proof that refutes the efficient market hypothesis, which argues that markets move in a “random walk” and are not patterned. So while there may be a good story to tell about behavioral economists, I trust you see why I believe there is a vastly better one to tell. The “enormous effect” of “mass psychology” and “herd behavior” is exactly what explains the financial downturn that began in late 2007. Prechter’s Elliott Wave Theorist anticipated the crisis and warned subscribers beforehand. Likewise, he alerted them to the bear market rally that began last March. Editor’s Note: The following article discusses Robert Prechter’s view of the Efficient Market Hypothesis. For more information, download this free 10-page issue of Prechter’s Elliott Wave Theorist.